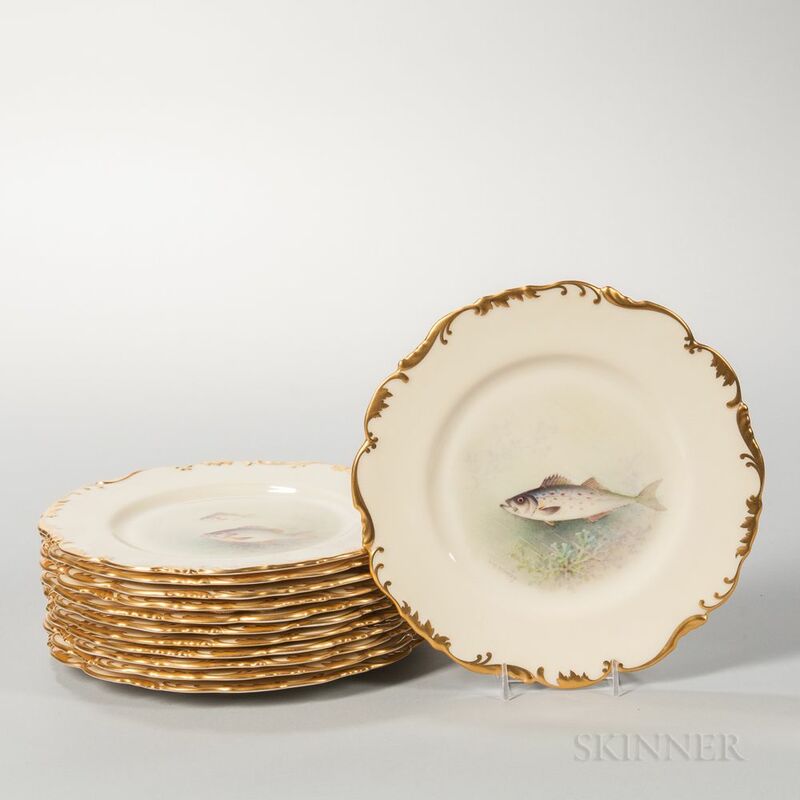 Twelve Lenox China Hand-painted Fish Plates, Trenton, New Jersey, early 20th century, gilded and shaped rims polychrome enameled with a variety of fish, artist signed "W.H. 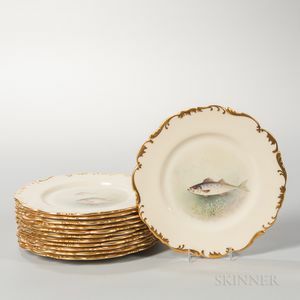 Morley," titled and marked on the reverse, dia. 9 3/8 in.